The quote “Everything old is new again” could not ring truer for some of the charts in our classrooms. Charts that were hung up at the start of the year and still remain hanging, but are no longer relevant or needed, are simply old. However, so much of what we teach is meant to be carried forward, to spiral, as Jerome Bruner taught us so many years ago. And charts can help make this happen, by taking what was old and making it new again. For those of you who have been following us for awhile and have read our books, Smarter Charts and Smarter Charts for Math, Science and Social Studies, you are familiar with the 3 R’s of charting: reposition, revise, or retire. We thought we would show you some examples of how charts can be revised over a few months and across changing units of study to remain pertinent and important to the students in your class. We will start with a writing chart Marjorie made at the start of the year when introducing how the writing of personal stories can be generated and planned. 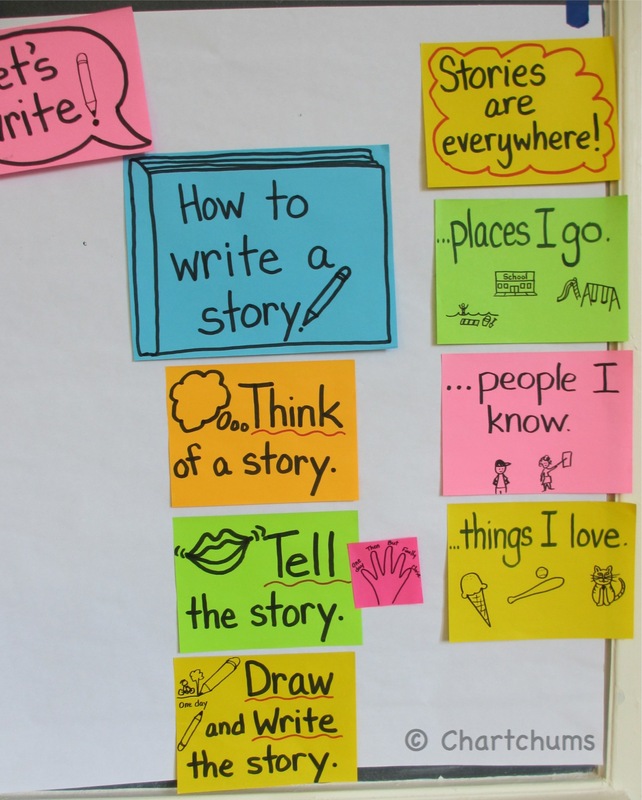 One chart is a repertoire chart with strategies for remembering stories; the other is a process chart that reminds students the steps for planning out a story. Generating topics and planning are an important part of the writing process. One chart shows a repertoire for generating story ideas, the other chart is about the process of drafting. 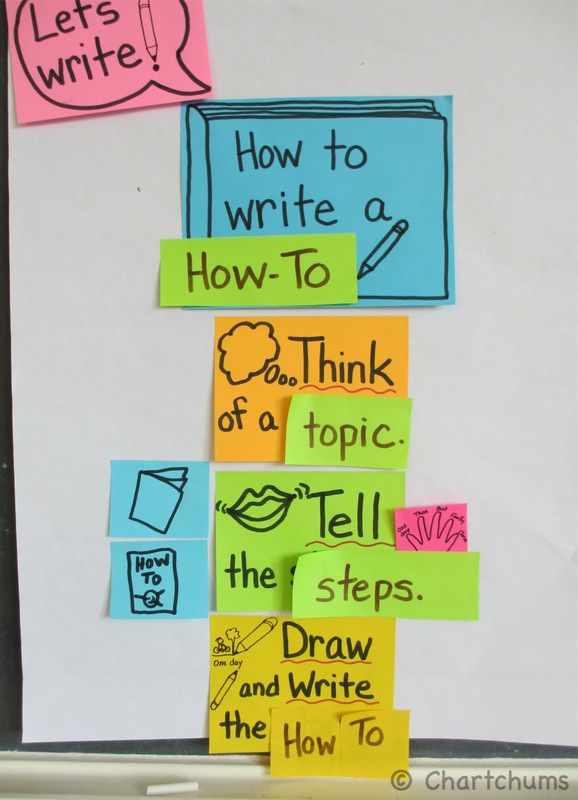 When a new unit started on writing How-to books, rather than making a brand new chart, Marjorie brought the original story chart back down to the easel and reminded the students of what they had already learned about writing books. She then shared with the children that even though they would be starting a different kind of writing, teaching others how to do things, the process was the same. They would still think, tell, draw and write. All they had to do was revise the story chart to make it match the current unit. So the word story was changed to how-to, topic, and steps, depending on the step. The next unit was an informational writing unit based on the book Kristi wrote with Barb Golub and Lucy Calkins, on Writing Information Chapter Books. 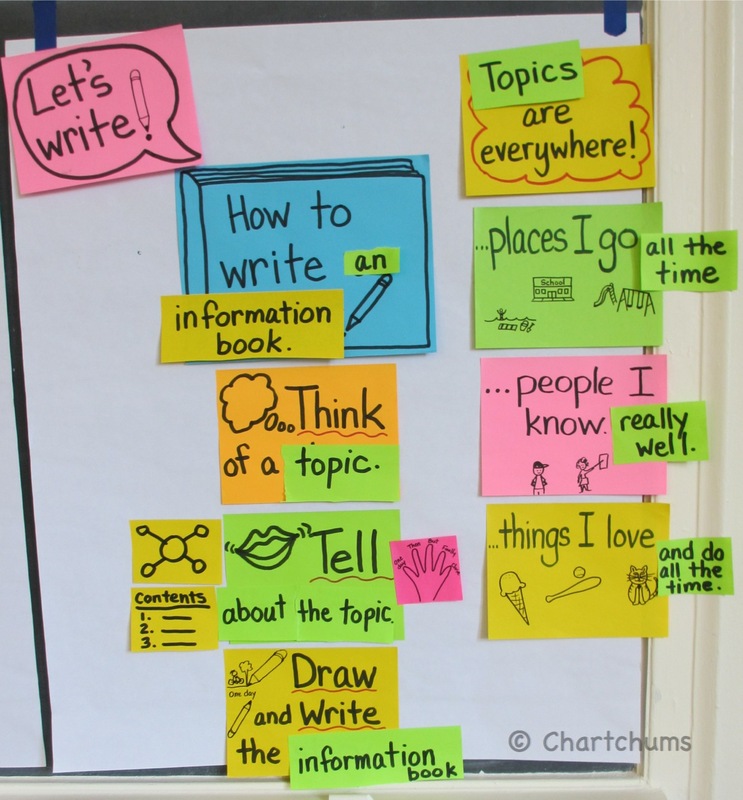 The children were expected to write all about topics they had personal experience with, but even so, the writing process remains basically the same. 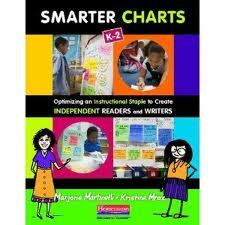 So again, instead of making a brand new chart, Marjorie brought back the revised How-to chart and again showed the children that what they already knew how to do would help them with writing informational books too. Again, the words are revised. Also some additional ways to plan are added (a web and a contents page). Helping children understand that everything that is old is new again and that everything that’s new is old can be a powerful step in understanding that all learning is about using what we know to grow new understandings and strengthen the skills we have learned. This idea works no matter the content being studied. If revision helps us see anew, revising our charts will help our children see that what they have learned will help them learn even more.